information about how you can exhibit your own work. Event are listed in order of start date. Booking is open for the Maiden Erlegh School Community Arts Programme for Summer 2019. (requires Adobe reader) or look out for it in libraries and venues around Reading and Wokingham. For details and schedule download the full leaflet. To book your place on any of the courses visit the booking form page. 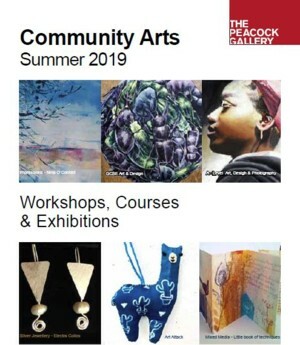 Get more information about: Community Arts & Peacock Gallery. Information about Maiden Erlegh School: www.maidenerleghschool.co.uk. 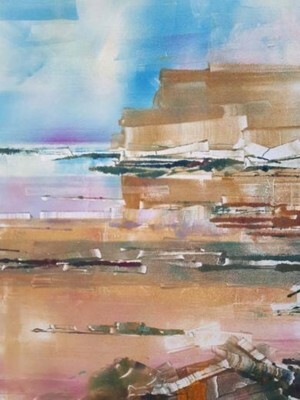 From exhibition 'Impressions'. Click image for larger picture. Impressions is an exhibition by Community Art Open Access and Silver Jewellery students of printmaking, and silver jewellery. The exhibition will also be celebrating the work of artist Karen Greville-Smith. More information about The Peacock Gallery: peacockgallery.wordpress.com. The Wokingham May Fayre will take place on the Bank Holiday, Monday, 6th May and promises to be a very lively day of family entertainment. Don't miss the 'more arts.' Hands-on-Arts event at 8-10 Broad Street, where you can try out lots of different 'arts' activities, with the help of our expert local artists. The Wokingham May Fayre is believed to be the largest street fair in the south of England, attracting thousands of people on the day. 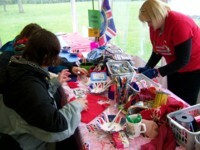 The event takes place in the Market Place & Broad Street, where a variety of stalls are set up. Hours are from 10am to 5pm. Admission is free, but there is a small charge for some activities. For full details of the May Fayre events, including a timetable and a map, download the May Fayre Programme. The main goal of the May Fayre is to provide a low-cost and fun family event, and enable local charities and other groups to raise money for their causes. Entry to the May Fayre is FREE. Home Start Wokingham District, supporting ordinary parents going through extraordinary times. Me2 Club, enabling children and young people with additional needs and disabilities, aged 5-19, in the Wokingham Borough, to attend mainstream activities. 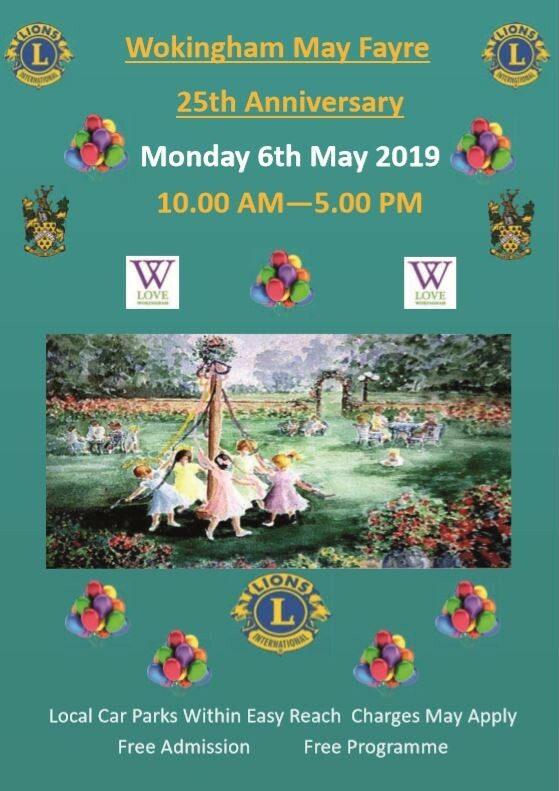 The May Fayre is organised by Wokingham Lions. 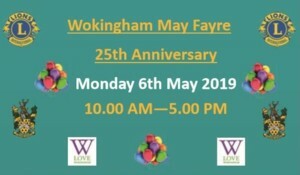 Get more information about the Wokingham May Fayre. 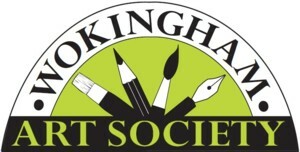 Click logo to see Wokingham Art Society website in a new browser window. Paint demonstration by Jon Davies, on "Animal Studies" using Oils. Entrance fee is £4 for non-members. This includes a cup of coffee or tea during the interval. 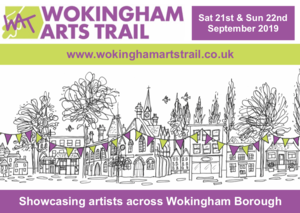 Wokingham Arts Trail will be returning this year on the weekend of 21st & 22nd September at venues in and around Wokingham. This year is the 10th eagerly anticipated Wokingham Arts trail and promises to build on the success of previous years. Applications are now invited for this year's Wokingham Arts Trail. Our aim is to provide a platform for artists who live and work locally to show their work within the local communities in Wokingham and the surrounding area. Along with this we strive to create a varied and interesting experience for the trail visitors by selecting artists using a range of media to create good quality, well presented, and innovative work. To apply to be part of this year's Arts Trail, please complete the Application Form on the Wokingham Arts Trail website. Closing date for applications is Wednesday 20th March. If you would like to know more about Wokingham Arts Trail, visit our website www.wokinghamartstrail.co.uk. These creative art activities run permanently. If you would like to learn to paint in watercolours, or develop your skills and techniques, why not join one of my classes in Finchampstead. For more details please visit the website www.saa.co.uk/art/lespatey or call Les on 01344 775276. The Phoenix Studio runs a range of art classes for all abilities, from the complete novice to the lifelong artist. The brand new studio, set amidst a beautiful meadow in the quiet village of Towersey in Oxfordshire, offers a great place to explore your creativity. For more details please visit the website www.phoenixstudio.co.uk or call James on 07765 980508. Come and join a friendly group of people who enjoy painting and drawing together in modern surroundings at the FBC Centre. 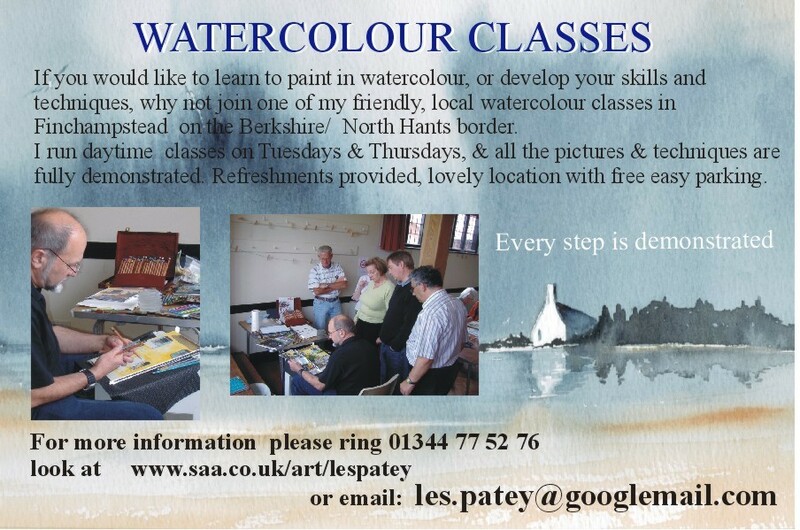 All abilities from beginners to experienced painters are welcome. No joining, termly or annual fees. Cost £3 per session. The group meets for life drawing sessions on Wednesday evenings for people to come along and practise their skills. More information: www.twyfordartgroup.co.uk. The Ark is an educational arts and disability charity that runs music, dance, drama and other arts courses. Contact: (01344) 755528 or email us for details.